Okay I admit it I’m a hoarder, it’s one of the main reasons I dislike moving houses so much, it always prompts the conversations of what to take and what no longer serves any sort of purpose and needs to either be thrown out or re-homed. The reason I dislike having to make this decision is that it takes hours and I really do mean hours, every little nick-knack, every object no matter how insignificant seems to have a story about it, sometimes it’s a far distant memory, sometimes it’s a particular smell but believe me it’s always something and that’s always enough to cause many a raging argument inside my head before I inevitably decide screw it it’s staying. As I mentioned here one of the main reasons I finally relented and bought myself a kindle was that I was literally running out of space to keep all of my hard copies of books, my shelves were full and it was becoming somewhat perilous to manoeuvre through the floor of the study for fear of tripping and taking out several stacks of books! As well as this as much as I wanted to keep the room as my own personal library I really did need to use it for other things. This prompted the discussion of whether or not I should simply get rid of some of the books either give them away or perhaps sell them and it’s a decision I’m still wrestling with at the moment. 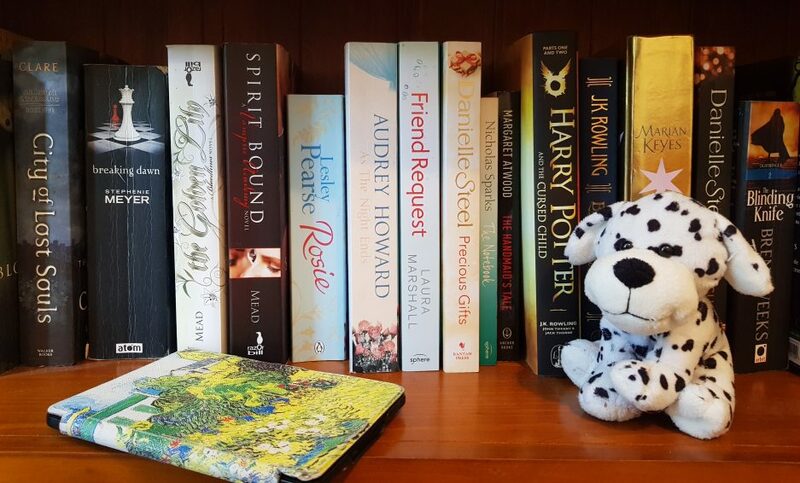 Are you able to get rid of books? 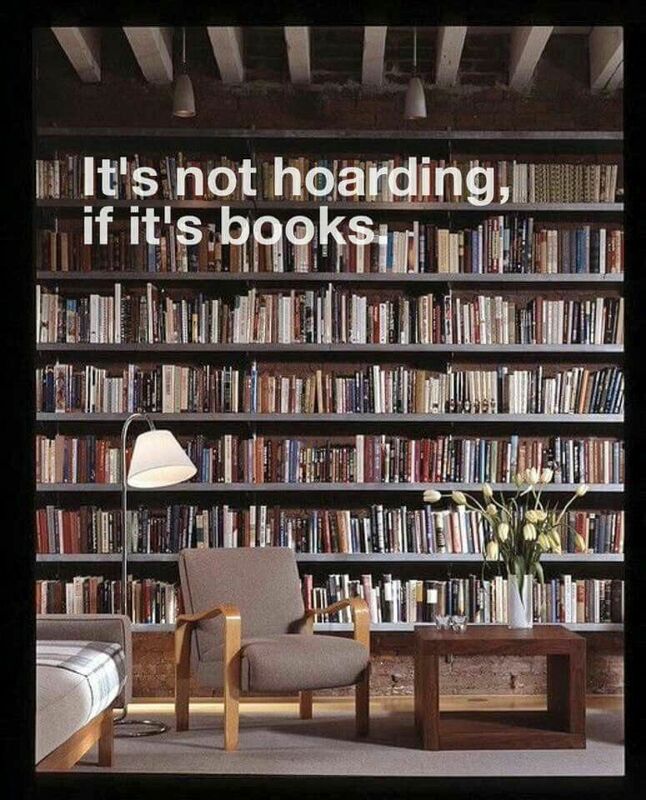 Or are you a hoarder like me? Let me know in the comments below I would love to here your thoughts! For me.is very hard to give away my books even those I didnt enjoy that much! I am a hoarder! Personally, I will sacrifice my desk before I sacrifice my books. And when I completely run out of space in my office, I will expand to other rooms. I’m too attached to them. Great post! I have a Samsung Galaxy tablet, which replaced my Kindle after it wore out from frequent use! However, I also have bookcases, or baskets of books, or neat rows bookended in every room of my house that I can’t part with. Occasionally I will try to go through them and weed out a few to donate, but I cannot bring myself to make a real dent in my collections. It doesn’t help that my husband contributes to the pile with books he can’t part with either. Lol I can not imagine what our house would be like if my partner also added books, baskets of books sounds like an awesome idea though maybe I could start sneaking those around the house! I hoard. I hoard so hard. It’s tough to give away books!! If it’s a book I really enjoyed it’s impossible. But one I didn’t necessarily like or relate to I don’t have a problem. But then if I get rid of some I just buy more….. vicious cycle!!! I don’t tend to buy physical books much but the ones I do have I think I would have trouble parting with. If I counts I can’t delete a book from my Kindle cloud even if I don’t like it. I do love my books but find it easy to let go of those that don’t hold sentimental value and I know I won’t reread.